It's hard to believe all that Team LiveRez has accomplished together in 2016. As we head into 2017, we’re looking back on all the incredible events that took place during our most recent trip around the sun. Check out the list below to re-live our biggest moments of the year. We knew it was going to be hard to top the 2015 Partner Conference in Sun Valley. So, in 2016 we went back to the drawing board, listened to partner feedback, and worked on planning the ultimate vacation rental conference. We made the conference easier to get to, divided it into two training tracks, landed a big name keynote in Daymond John, managed to bring back Marcus Luttrell, brought in industry expert instructors like Matt Landau, David Angotti and Michael Endelman (to name a few), and even added a sports theme. The result was the biggest and best Partner Conference we’ve ever seen, with nearly 500 attendees from all across the nation and abroad. One of our big initiatives in 2016 was to make it easier for partners to interact with each other, find answers to their questions, and let us know how we could make their lives easier. That’s why we launched Live Community, the new online forum exclusively for LiveRez partners, as well as a new and improved Help Center, filled with training videos and system documentation. One of the big announcements coming out of Partner Conference and the VRMA Annual Conference was that LiveRez would be building a Channel Manager and creating solutions that allowed partners to work together. Since the announcement, we’ve been in talks with many potential distribution partners and have started laying the groundwork for a cutting edge channel manager that includes a partner referral and distribution network. LiveRez CEO Tracy Lotz was honored as one of the most forward-thinking tech leaders in Idaho this year, after being named as one of only three finalists for Innovator of the Year. Way back in February, we held a LiveRez Bootcamp in Destin, FL. More than 100 managers attended from all over the southeast to get hands-on system training and catch a first look at LiveTrust, our new trust accounting system. In 2016, many partners went way above and beyond in their efforts to network with other partners. In addition to Partner Conference, regional events and online through the new community, a number of partners took the initiative to visit other partners at their headquarters, and we were happy to connect them. 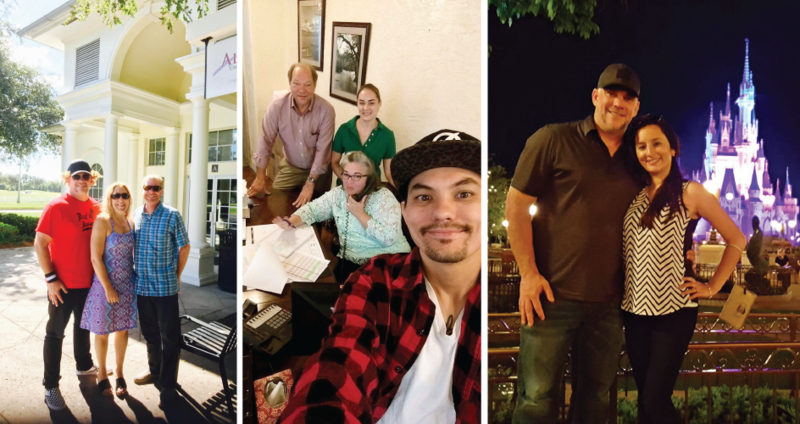 From north to south and east to west, partners were crisscrossing the nation to learn from each other. Well, that’s the team that stays together. You can check out our teambuilding adventures in the videos below. Support Team Responsive as Ever! The support team managed to step up its already stellar performance in 2016. They resolved more tickets than in any year past, had a customer satisfaction rating in the high 90s and a response time that’s nearly 10 times faster than the industry average! 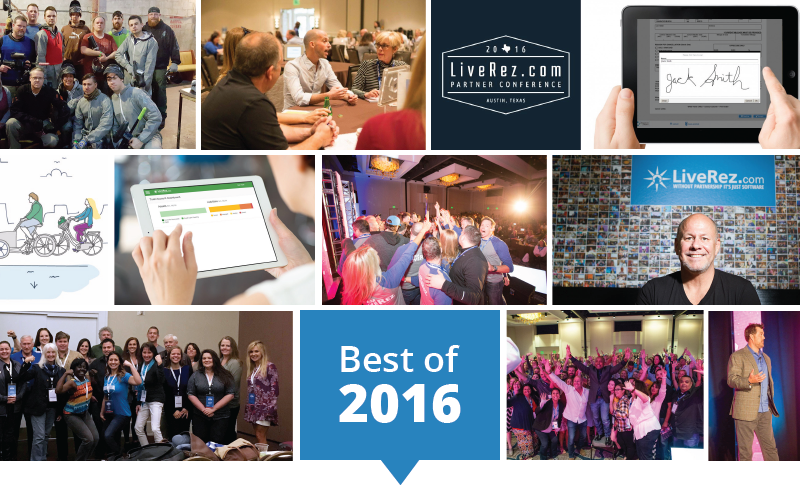 In 2016, the LiveRez family grew by nearly 200 property manager partners. These new partners come from all across the world and bring a wide variety of skills and different perspective to Team LiveRez. We’re excited to start our journey with them, as we work together to grow their businesses. 2016 was Incredible. 2017 Is Going to be even better!